A delightful three bedroom first floor apartment in this historic mansion (Grade II listed) with views over the grounds. The accommodation comprises a lovely light sitting room, kitchen/breakfast room, dining hall, three bedrooms, two of which benefit from ensuite facilities, and separate WC. The property also enjoys direct access to its own private roof terrace. The property has been through a refurbishment by the current owners including carpets and decoration as well as Crown kitchen with Miele appliances and a Rangemaster cooker. The lease of the property has also been extended to December 2177. The property offers a great lock up and leave if that is required. 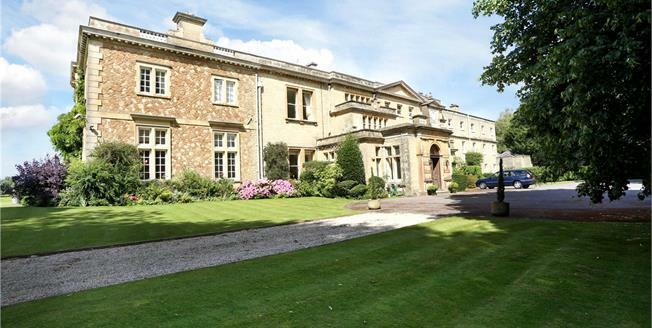 Stopham House is situated well back from the road being approached by an elegant tree lined driveway and comprises a Grade II listed country house formerly the home of the Bartellot family. It is believed to be of Georgian origins with a Victorian extension and which was converted in 1979 to provide 11 individual apartments. Stopham House is situated amidst open countryside close to the River Arun. The apartment enjoys open views to the east, south and west over the parkland gardens and grounds and to the open countryside beyond. Nearby is the village of Pulborough which provides a wide range of local facilities and a main line rail service to the south coast and London. The picturesque town of Petworth is about 3 miles and the centre of Horsham is about 13 miles to the north. Sporting and recreational facilities in the area include golf at Pulborough and the surrounding countryside provides many miles of beautiful walks. A garage which forms part of the old stable block is situated nearby and fronts a part cobbled courtyard. The beautiful, mature gardens and grounds which surround this property are laid principally to lawn interspersed with a number of established trees and shrubs and include the former walled kitchen garden. The apartment has a useful terrace area which provides a most attractive outlook over the gardens and the farmland beyond. Our Client informs us that the Service Charge amounts to £3,600 per annum for 2018 (paid quarterly).